There are as many varieties as days of the year and sometimes this wide range of possibilities can be overwhelming. In reality, the possibilities are endless, because every time two genetics are crossed, a new strain is born with its unique organoleptic properties. 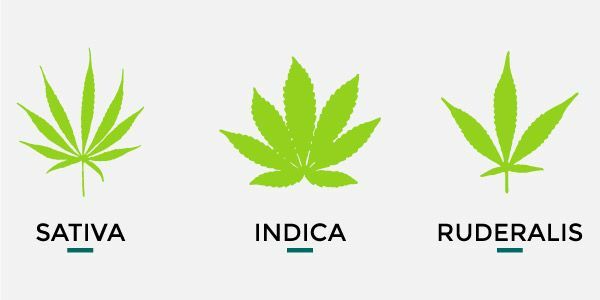 However, you don’t need to be an expert to understand that all existing marijuana varieties can be classified in three large groups: Indica, Sativa and Ruderalis. Each one of these varieties and cannabis types has its own growth pattern, as well as distinct aromatic and aesthetic features. Although nowadays most cannabis strains on the market are hybrids from crossing plants from these three large groups, knowing about the characteristics of each type will help you to better understand what variety you should grow, why, and what results to expect. This type of cannabis plant has its origins in Asia, America and Africa. They usually produce an energetic, fast and euphoric high, which is why the plants that belong to this group are known for their "daytime" use, as they don't produce a narcotic effect and don't hinder day-to-day activities. Cannabis Sativa was widely used to make paper but for some reason the industry focused on trees. It's a shame, because the environmental impact caused by deforestation would be enormously reduced if cannabis were used for this purpose, as it grows much faster than trees and the environmental damage would be practically zero. Perfect for Sativa lovers, this 90% Sativa-dominant, feminised hybrid, has an intense flavour and aroma with hints of lemon, pine, incense and spices along with a powerful, long-lasting effect that hits the brain providing a euphoric, invigorating feeling. An easy-to-grow genetic suitable for growers of all levels that produces dense, elongated buds dripping with resin. 70% Sativa-dominant, this hybrid that originates from a Haze#1 and a Skunk x Northern Lights cross is the perfect tool for obtaining top-notch cannabis flowers. The buds, tight and elongated, give off a delicious aroma of lemon, cedar, pine and incense. The strong, long-lasting effect is cerebral and clear. Comes from Pakistan and India and is a type of cannabis that is highly appreciated by growers and consumers. 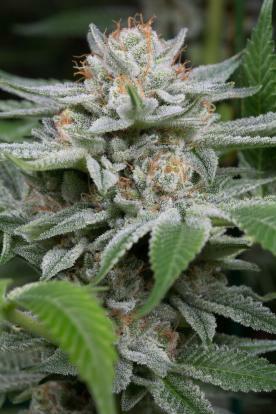 Dense, heavy buds laden with THC and surrounded by small leaves that sometimes have reddish and purple tones. This type of marijuana plant is much smaller than the Cannabis Sativa; it usually reaches a height of 1.5 metres and looks like a fir tree. Indoor: Indica marijuana plants are ideal for rookie growers due to their small size and short flowering period. Outdoor crops: An excellent option for terraces, balconies and growers who want discretion. They're harvested in September and this makes them highly appreciated in cold regions and where rain is frequent. Indicas are "night-time" plants, that is, their consumption is recommended during the hours before going to sleep due to their powerful narcotic high that is characterised by being physically relaxing and which is often described as "having a huge stone slab on your head". It is a type of cannabis widely used for medicinal purposes. In India this type of cannabis has been traditionally used for religious ceremonies, as well as to induce somnolence and for certain therapeutic uses. We are really proud of having one of the best Indicas in the world among our most valuable strains. In fact, this award-winning variety is a dream come true for the lovers of this genetics: great resin production, easy cultivation, high-quality crops and an unmistakable flavour. An extraordinary genetics that grows fast, developing small plants whose leaves take on purple and lavender hues when exposed to cold temperatures at night. The effect, preceded by an earthy, spicy flavour with notes of coffee, oil and citrus, is powerful, relaxing and analgesic. 70% Indica-dominant, this superb hybrid is the result of the cross between a Critical + and a moisture-resistant phenotype. An improved version of our Critical + that grows vigorously and produces bulky, heavy buds brimming with resin. Strongly aromatic, we recommend the use of anti-odour filters for indoor cultivation, especially at the end of the flowering period. Its penetrating fragrance translates into a lemony, woody, spicy flavour that has conquered the most demanding palates. Its powerful, long-lasting effect is more physical than cerebral, perfect for unwinding after a hard day of work. This type of plant has its origins in Siberia and Kazakhstan, a fact that explains its peculiar characteristics. The few hours of sunlight and the scarce intensity received by the plants in these regions forced it to adapt to the environment, meaning that Ruderalis plants do not depend on light exposure to start flowering. It has extremely low THC levels; its effect is more of a headache than a high. Ruderalis strains have been used to create autoflowering hybrids. The autoflowering varieties that are currently available in the market have been created by breeders, who have crossed Ruderalis strains with Indicas and Sativas. 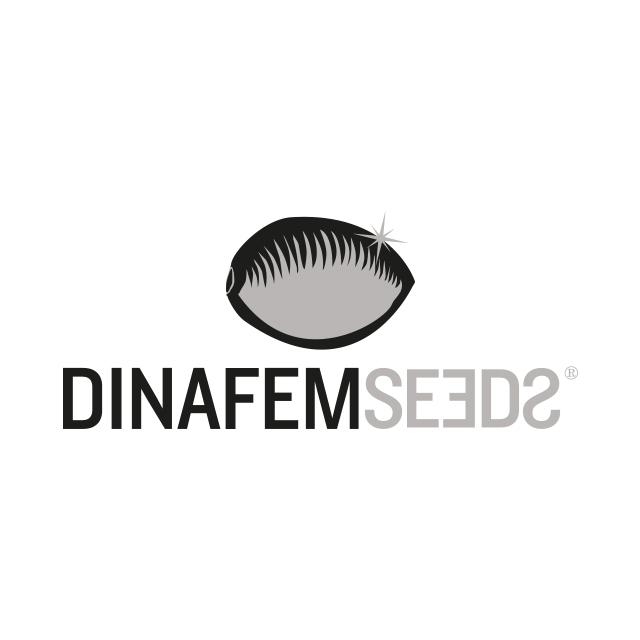 Even if the quality and stability standards of the first autoflowerings did not compare to those of the feminised strains, after a long process of genetic improvement, autoflowerings are now full quality. This automatic champion ensures high-quality crops even outdoors and under harsh climates. The flavour and the aroma are intense, with notes of lemon, Haze, cedar and incense. An extraordinary genetics that stands out for its productivity and its long-lasting, strong, cerebral, invigorating effect and that makes us feel proud because of its unique organoleptic qualities. If you like Sativa strains, we recommend you this autoflowering hybrid that comes from the cross of a Dinamex and a Haze 2.0 Autoflowering. An excellent choice that yields medium-sized, vigorous, fast-flowering, easy-to-grow plants producing abundant crops of dense, elongated buds covered in a resin that gives off a strong aroma with hints of Diesel, oil and citrus.